Ortho-Bionomy is a natural pain relief therapy. Over time the body creates holding patterns. These patterns are due to things we do in repetition, injury or surgery. Holding patterns are designed to protect the body, but the body can become stuck in this arrangement causing discomfort. Using Ortho-Bionomy we exaggerate the patterns which are usually the place of comfort. Then we add light compression or traction allowing the pattern to release. The intelligence of the body wants balance so it shifts, enabling self correction without pain or force. A typical Ortho-Bionomy session is about an hour long and is fully clothed. I have been so blessed to discover Ortho-Bionomy! In 2016 had back surgery due to a ruptured disk. Ortho-Bionomy was instrumental in my recovery and allowed me to return to the outdoor activities I love. The experience guided me to make Ortho-Bionomy my life. 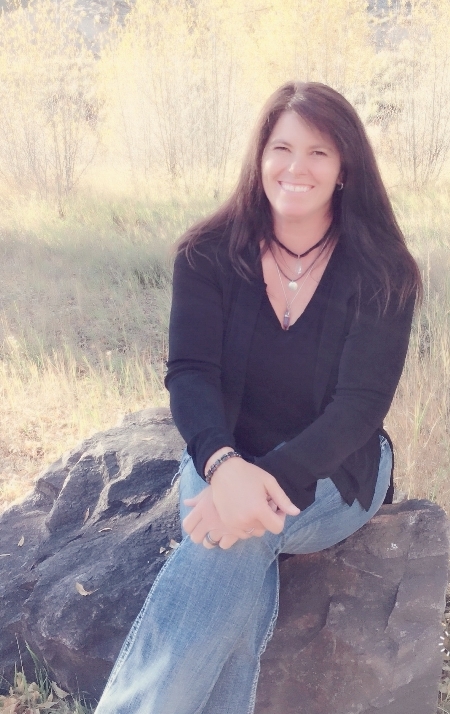 I became a Practitioner of Ortho-Bionomy and I am currently enrolled in the Advanced Practitioner Training Program under the guidance of Sheri Covey at the Rocky Mountain Ortho-Bionomy Center in Grand Junction, Colorado. I am enjoying learning amazing new techniques to help my clients, family and friends with the discomforts that come from our active Gunnison lifestyle! Additionally, I am blending my love for animals by using Ortho-Bionomy to help them stay in optimal health, too! My mission is to help both humans and animals with the unique magic of Ortho-Bionomy – it is absolutely amazing to share such a treasure with all creatures!